With Doss & Associates you have access to a network of heavy equipment adjusters with more than 35 years of individual experience. Our team is well versed in over-the-road, construction, specialty and agriculture equipment and will efficiently process your claim. We behave as an extension of your business and treat your customers with courtesy and respect while ensuring reports are done accurately and timely. 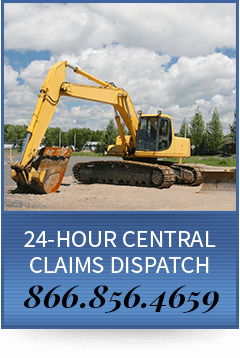 If you have a heavy equipment claim in South Dakota, North Dakota, Minnesota or Iowa please give us a call.